Offered services | Aspirateur GB Plus inc. The owners of Aspirateurs G.B. 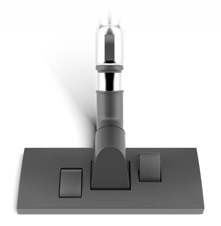 Plus are specialists at who provide custom advice on vacuum cleaning solutions, based on your needs and your reality. Aspirateurs G.B. Plus is the sole authorized dealer in the region for Electrolux, Eureka, Zelmer and Johnny Vac products, and we provide a wide range of vacuum systems, including central, canister, upright and commercial. Our L’Île-Perrot company can also advise you on the purchase of retractable hose, a new technology that dependably replaces hoses that must be dragged from floor to floor. This 45- to 55-foot hose can be installed in existing central vacuum systems. Our team provides a free estimate service, based on your needs and geared to your best solution. As experts in vacuum systems and authorized dealers for Electrolux, Eureka, Zelmer and Johnny Vac, our 18 years of experience enable us to provide an experienced, fast and flexible repair service for central, canister, upright and commercial vacuum systems of all brands. In addition, for products purchased in-store, we will honour all repair warranties. Our expertise enables us to diagnose and rapidly repair all problems and breakdowns. At Aspirateurs G.B. Plus, we believe it is essential that you have a well-functioning unit for your quality of life and the health of your family. Our team provides a fast and courteous duct installation and pre-installation service for central vacuum systems. For both new constructions and existing buildings, this measure provides added value for your property, whether home, business or industry. We can also install the central vacuum system itself.